Adventist literature in Norway brings truth to homes and churches. Three months ago, we received an unexpected phone call. A Pentecostal church leader in Blaker, a town near Oslo, Norway, told us that he had received our booklet: The Protest is Not Over – 500 Years After Luther. As he read it, he sensed the contents were important and relevant. “I would like for you to come and meet with my congregation,” he said. With few exceptions, we have not been allowed to speak in any churches in Norway. When the Pentecostal church leaders in Oslo caught wind of our speaking arrangements, they fought against the plans. However, the leaders at the Blaker Philadelphia church were adament that Abel should carry on with the meetings. On June 16, Abel presented end-time messages from Revelation 14 and 18. The congregation responded positively to the messages. We were invited to return and conduct more meetings in August. This time we met in a rented hall as use of the Blaker Philadelphia church was no longer an option. The Pentecostal leaders in Oslo had sold the church building. Some of us wondered if it was to discourage the Pentecostal leaders in Blaker who were searching for truth. Two of the Blaker leadership have since left the Pentecostal faith and are keeping the Sabbath. We have received a request to explain the book of Revelation in Stavanger, Norway, and a friend’s connections helped us to secure a meeting place at the local Park Inn hotel. During the five nights in September, we plan to cover a large amount of material and hope for a full audience of listeners. When our friends in Blaker heard about the upcoming Revelation seminar in Stavanger, they requested that we share the same message in their area. We pray that the Holy Spirit will go before us, touching people’s hearts that they may be receptive to the Word of God. Another booklet, What You Should Know About the Family Day, has also impacted truth-seekers. They understand that if they are to be true representatives of Jesus Christ, they are obliged to follow in His footsteps. They face a question of loyalties – whether they will adhere to the Sabbath truth in God’s Word, or follow human tradition in the keeping of Sunday. At the time of writing this article, Pope Francis arrived in Dublin, Ireland, where he emphasized Sunday observance before hundreds of thousands of listeners. 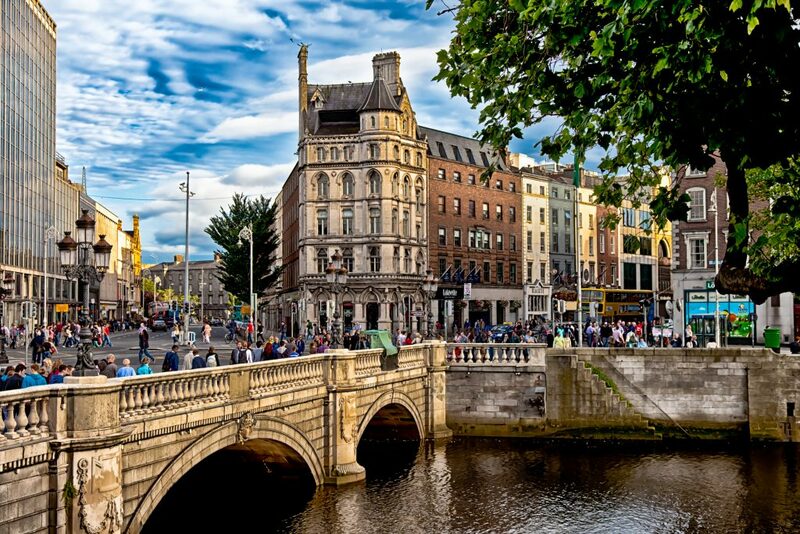 13,500 copies of our Sabbath booklet have been printed and are being distributed in Dublin by Adventists from multiple countries. During the course of four years, we have visited some 1,000 non-Adventist households across Norway. We have had some amazing experiences with people. This year, we travelled extensively in our mobile home to various areas across the country where we enjoyed many excellent conversations and Bible studies. As we make our second round of visits, we can clearly see that God has been at work in many lives since we last visited. We are encouraged to continue our efforts as we observe individuals around us searching for greater truth. Together with the Holy Spirit’s influence and the materials we’ve shared here in Norway, many are gradually becoming rooted and grounded in the faith. The thanks, praise and glory should go to God for all that He has accomplished! We are also very grateful to all of you for your support. Our heavenly Father has blessed your prayers and your means to make our continued and humble missionary efforts possible. Abel and Bente Struksnes are literature evangelists living in Norway. Pray for all the literature that was distributed! Start a literature distribution in your church and community.